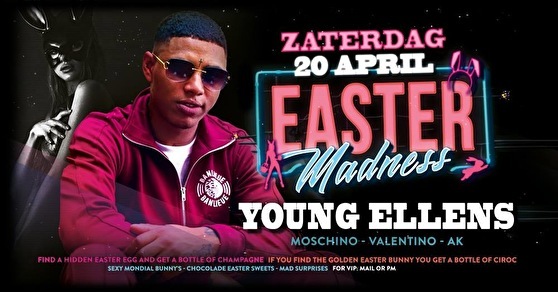 Welcome to our EASTER MADNESS!!! Find the hidden easter eggs & win a bottle of champagne! Find the jackpot, a chocolate easter bunny, & win a bottle of Ciroc flavor! All Ciroc Flavor Bottles for only €95,-! We got Peach, Redberry, Coco, Apple, Pineapple, Mango & Summer Colada! For VIP reservations please send a mail to info@mondialnights.com or a PM on one of our socials!